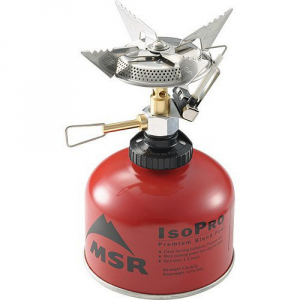 Perfect lightweight backpacking stove! It packs up into a very small size and works with many different brands of fuel. It is easy to light and adjust, is very stable, and can hold a variety of different sized pots. I purchased this stove about 7 years ago for my first backpacking trip. My dad had previously purchased the version with the built-in igniter and had said it was very unreliable and not worth the extra weight and price. I didn't find it to be a big deal to have to use a match or lighter to start my stove. It works with many different brands of gas canisters that you can purchase at any outdoors store or even Walmart. Many people complain about the burner adjustability, but I have not had a problem with it. It is not possible to get the flame to super low, but that has never been problematic since I am usually using the stove to boil water for pasta or rice. Simmering might be difficult and would require a close eye. I would guess that it takes less than 5 minutes to boil water in a covered pot in sheltered conditions. Usually I pack some extra aluminum foil to create a wind shield around the flame. I am still amazed many years later at the fuel efficiency. I have never even come close to running out of fuel and always end up packing too much. For a 6-day backpacking trip I didn't even use one medium size gas canister and that is 5 nights of boiling water for pasta/rice and 5 mornings of boiling water for oatmeal and tea/coffee. I would rate this stove as very stable, but it also has a lot to do with the size of the fuel can and pot. The one time I used it on an extra tall fuel can it was very unstable. It packs up into a very small size and comes with a light plastic canister which I used initially. I then purchased the GSI Pinnacle Dualist Cookset, which came with a small fabric pouch for your stove, which I use now and it fits perfectly into one of the covered bowls of that cookset. This is a great product, and is an essential item on all of my trips. 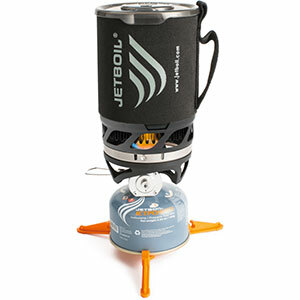 The stove is sturdy yet lightweight and is bombproof. The stove is easy to setup. All you do is twist the supports up. 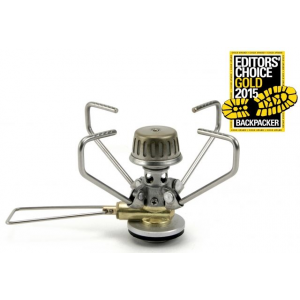 Although it is a manual stove, it is good enough to light with anything from matches to lighters or a fire steel. The burner is very adjustable and has good simmering capabilities. The stove boils super fast and also simmers just as low as you want it to. This stove is very stable. You could easily put large quantities of water on the stove. I do recommend using a flat surface as it will wobble while cooking. The stove packs down to about 3.5x1.5 x1.5in. The large flame adjuster works well and is capable of being adjusted with gloves. This stove is bombproof. 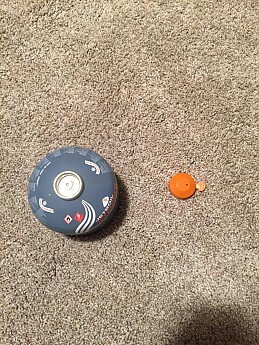 One time, I dropped it off of the deck (about 15 ft) and it still works. 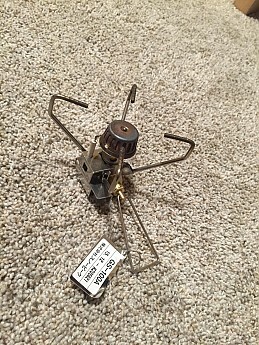 I got this stove at my local outfitter, Little River Trading Company, at retail. I have had this stove for two years and it still works just like new. This product definitely belongs in your backpack on your next overnighter. 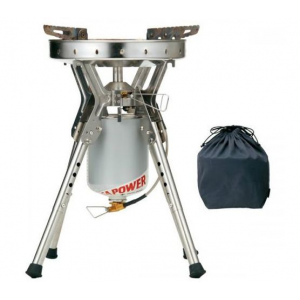 The GigaPower 2.0 Stove is a 3-inch stove that's light durable and easy to use! 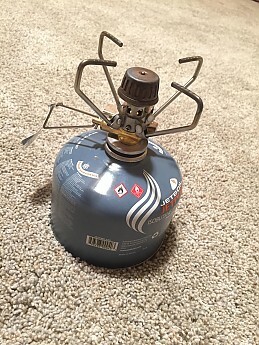 It gives a big flame for a small stove and works with many types of propane brands. The GigaPower 2.0 stove works great and works well constantly. The stove can easily twist off and on. To light all you have to do is twist the handle and light it with a match or something like that. 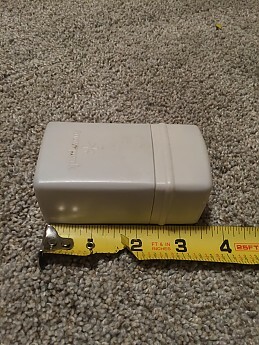 And it also fits into a 3.5 x 1.5 x 2 inch box. It is well made, so that it can't break or burn itself. I've had it for a few years and it hasn't changed. It works just as well as when I got it. 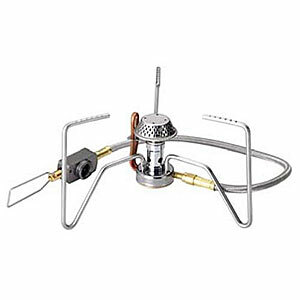 I have used this stove on many winter campouts and sometimes it takes a little bit of time to get it started, but in the summer it lights very fast. 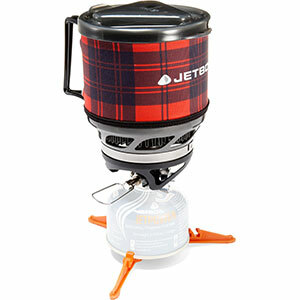 Highly recommended to use on a backpacking trip if you want food or heat FAST. Alcohol is a little slower and unreliable in certain conditions. Recommended to purchase the Snow Peak windscreen and titanium cookware as it all fits snugly in the 700 mL pot. For a detailed review I'm going to use bullet points for ease to read. Setup: Very quick, maybe 30 seconds to have it set up. Screw on fuel, open valve, and ignite. Ignition: MUST have matches or lighter, Ferro rod didn't work for me after 7-10 strikes. Flame Control: Very good adjustment valve, can even simmer your food if not ready to eat! Cooking: Like any backpacking stove, best used for boiling water. If you want steaks or a big meal I'd suggest using fire. Boil time for 450 mL is 2-2.5 minutes. Wind: Lit in moderate wind, recommend you purchase Snow Peak's designed windscreen for this stove. 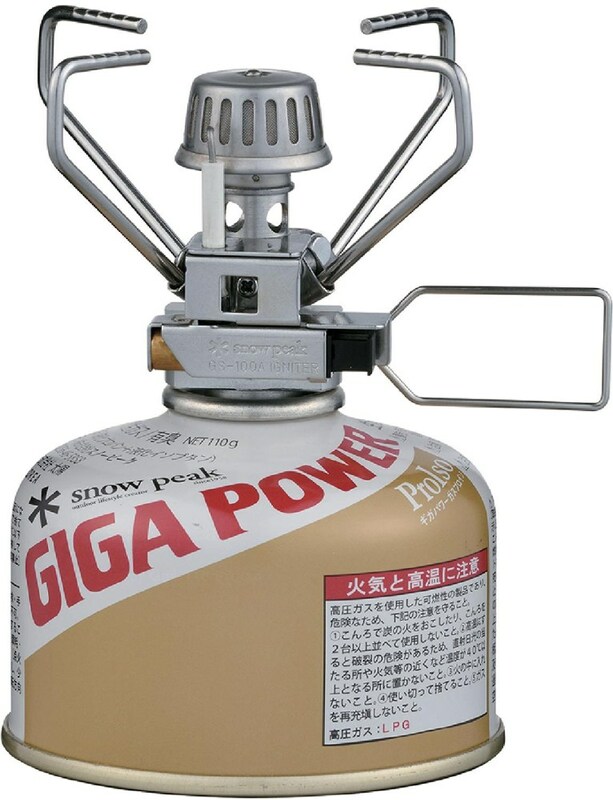 Fuel efficiency: The small canister from Snow Peak lasted me three days with three boilings of water each day. ALWAYS bring some extra. Stability: Very stable, it has four pot stands instead of MSR's three! Hope you decide to buy one! Good investment. For several years now I have had this stove and it is my favorite. It's got a Savages Approval. Many years ago I received this stove and a couple of other pieces of gear for Christmas. Within seconds I had it set up and was wasting fuel to see how well it boiled. 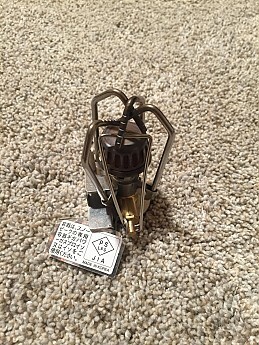 To ignite is easy just turn on the gas and bring a flame to the ignition and yes, these stoves can also be purchased with an automatic ignition system, but I personally prefer the manual, you're more than likely to be packing a lighter or fire steel anyway. I live where the wind can be a cruel thing, but this stove seems to hold up quite nicely. and not only that but this stove has been in some tough terrain and it is still looking quite nice. The cook time was amazing. I have a fast setup system to my fishing pole and this stove was boiling water before I had gotten down to the lake to throw my line out. This stove has really been put to the test of how it can hold up to a savage, and has gotten my thumbs up and approval. This stove was made to live in the Rockies and I say let’s see what else it could handle. Got this stove 5 years ago and it's never failed me. Got this stove 5 years ago and it's never failed me. Added a piezo, which has also worked very well, although I always carry a backup lighter. Depending on expected conditions, I also carry the windscreen. Not the lightest stove package, but nice and compact, very sturdy (note 4 pot supports vs 3 on many other stoves), and a nice light plastic stove container that takes lots of stuffing abuse. Although there are other lighter and more efficient stoves out there now, this is all in all a very good and reliable stove, especially given its low cost. Used exclusively in three season conditions, I recommend this stove for anybody wanting a basic, no-frills unit that you can rely on for a long time. You can get the auto version, but I don't need the extra do-dads to make me happy. I can adjust the flame to almost any situation, but I never have to crank it up full bore to get a little water boiling. I even sautee fiddleheads and wild mushrooms in a little olive oil with my main course. The low output levels could be a little easier to find, but once you get a few uses out of it it's a non-issue. Go ahead, buy it. It's a good stove, light, compact, and with a hard plastic carrying case. Most of the manual is in Japanese and the only warning label on the carrying case is also in Japanese. It fits easily inside the Trek 900 Ti cookware. The flame is very powerful and difficult to adjust very low. Overall good. I was going to buy the titanium version with peizo but, being a budget minded college student, I convinced myself that the exponential jump in price for the tiny drop in carry weight was not worth it. Money will be the death of my back on the trail, I swear. Not a whole lot to say about it, the stove boils rapidly and heats evenly. Can be a trick to turn down super low and puts out so much heat that you must be careful not to burn your food. Most backpacking stoves are this way though. It's reliable, never had a single issue with it. Packs up super nice and fits inside my Snow Peak 700 cook pot along with a fuel canister, first aid kit, ligther, toothbrush... etc. Very nice stove. The stove is tiny, very light, and powerful. The flame is wide, so if you've got the right cookware, pancakes come out nice and evenly cooked. The flame control is pretty good; you can turn it down to a simmer, but I've found that the flame tends to creep up just a little after you get it low (not a big deal). One thing: you need the windscreen. Even a light gust will significantly prolong cook time, as there is absolutely no wind protection without the separately sold windscreen. All in all, this is a great stove. The four pot supports are thin yet sturdy. I agree with previous reviews - you probably wouldn't want to use this stove to cook for many people, but for one or a handful, it should be fine. This stove is great. It folds up so tiny it will fit anywhere. I never go on a trip without it. It has never let me down and even worked at subzero temps (had to warm the fuel canister with body heat first). This thing will put off some heat too! Best stove for the money. I got this stove about 18 months ago and have gone through about 15 small canisters for fuel (so I have used it a lot). The GigaPower has done extremely well when it's just me and another person, but it seems to take a little while longer to heat up my bigger meals. I guess that is understandable considering its size and weight. As for performance in the wind, it does ok if you use a small wind sheild similar to the ones that come with MSR stoves. I cooked a meal at the top of MT Holmes in Yellowstone in pretty high winds and with the wind screen the cooking time was only increased by a small margin. My only complaint about the stove is the fragileness of the pot holders. They seem to bend and stay out of shape if you are not carefull when opening and also storing the stove. I would definitely recommend this stove to anyone who wants a light well performing stove that is not too hard on their equipment. 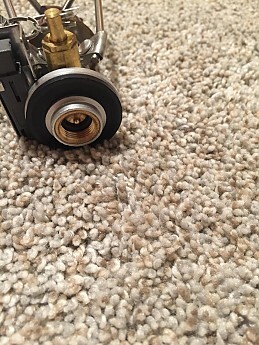 As with the Snow Peak Auto, it performs the same way--AWESOME! As with the Snow Peak Auto, it performs the same way--AWESOME! I can't believe how fast this little stove boils water. I'm very, very pleased with the simplest of innovations--it makes life that much more interesting. I don't have any pros and cons to write about this product, however I wouldn't recommend using this stove for a myriad of people, however I did cook for four people and it performed perfectly! Highly recommended for the serious backpacker!